Chicken Kabobs. Make them at home. 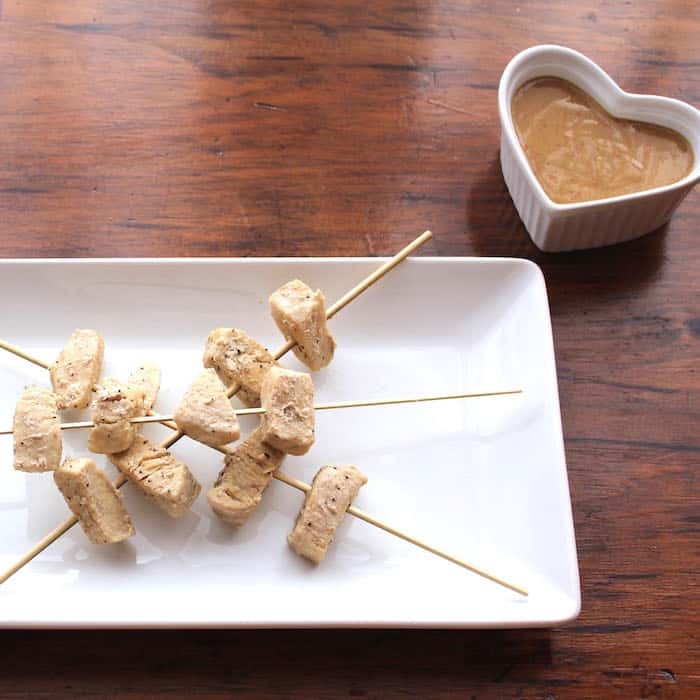 Call them “Mouse on a Stick” (from Shrek) and the kids will love them. Hi. It’s Lois in the kitchen at Recipe Idea Shop, talking to you about kid-friendly Chicken Kabobs. But it’s not just children who like these. All your meat-eaters will love them. I brought Chicken Kabobs with Hot and Sour Sauce, Spicy Mustard Sauce and Soy Sauce (for dipping) to a couple of potluck events and they were a hit each time. And they are so easy to make. You can use boneless, skinless chicken breasts (which I think is best because they are tender) or chicken tenders for these Chicken Kabobs. Either serve them in a casserole dish, just as they are, or skewer them to make them easier to grab and eat and more fun for everyone. You’ll need some skewers and a good sauté pan. Sauté Chicken Kabobs in a little oil and butter with some seasoning salt and pepper. Very simple. 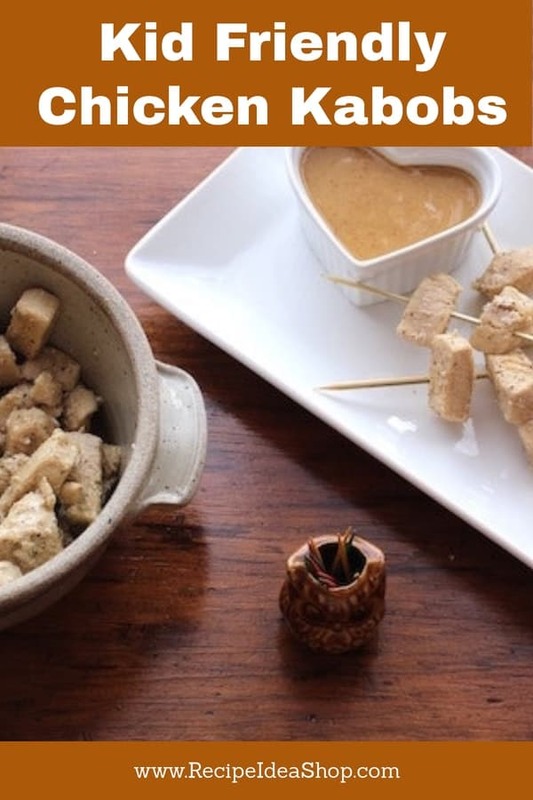 Bamboo skewers in 3 sizes. Buy them on Amazon today. Add some Hot and Sour Sauce, Spicy Mustard Sauce and Soy Sauce as dipping choices. Chicken Kabobs. Easy for kids and adults. Done in 15 minutes. Kid friendly food. Bite-sized pieces make them great appetizers at a party, too. Sprinkle the chicken with the pepper and salt. 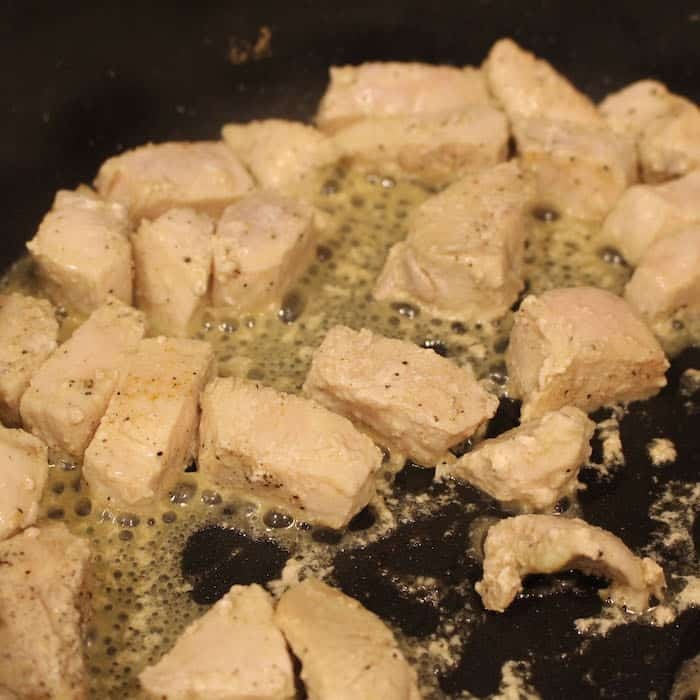 Sauté the chicken pieces stirring frequently until done (all wihite, all the way through, and still moist). 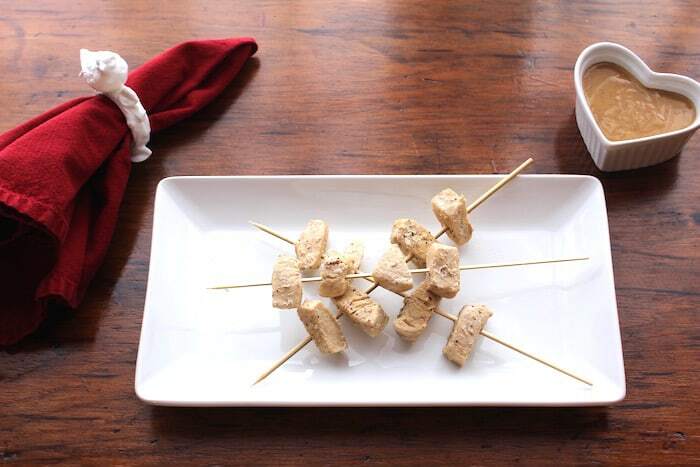 Skewer the chicken pieces with disposable bamboo skewers, about 3-4 pieces per skewer. Serve with Hot and Sour Sauce, Spicy Mustard Sauce or Soy Sauce. 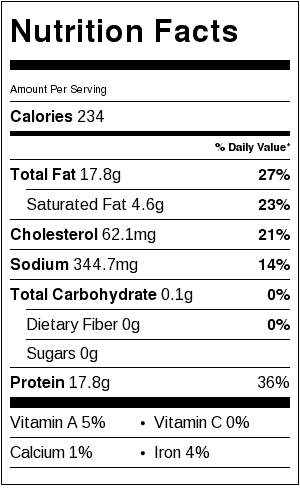 Chicken Kabobs Nutrition Label. Each serving is about 3 ounces of chicken, roughly 12 kabobs.